LiteWorld along with its non-profit partner, Englewood Incubation Center ( www.englewoodincubationcenter.org ) put on a Maker Faire on January 29th. The idea was to have a way to engage the public to see what we have been seeing for almost five years. In August of 2012 we started EIC to create a way for students of all ages and grade levels to develop a way to help them connect their digital prowess on computers to a tangible, hard technology process. The entry of the low cost, desk top 3D Printer turned out to the best tool to accomplish this goal. 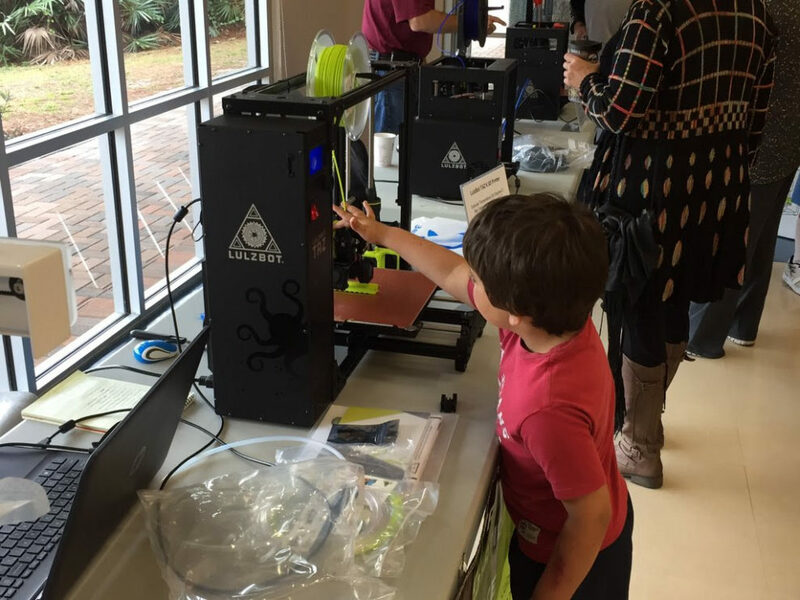 After five years of working with students and teachers from elementary through High School and beyond installing 3D printers in their facilities we have come across one major point; 3D printing is the best mechanism to connect the students ability to easily create 3 dimensional models to making hard objects. In every place we have placed a printer, the schools have seen a dramatic acceptance and use of this technology by all the students to the effect that in many cases multiple printers were required just to keep up with the demand and interest of the students. And the interest did not end with the students. The Teachers and administrators began to see the benefit of using this technology tool for teaching math, science, engineering, design and even reading. Even the slowest students became experts in 3D Modeling in a few days. The educational system is going through another assault on its teaching legacy and with the new government in place there will be new challenges added to the school systems. The global economy is moving at warp speed with all the new technology being developed almost over night. This technology can help students be better prepared when they leave school as they will be entering a job market unlike any other in the history of our country. If you want to know about our programs for teaching, training and 3D Printer products please go to our website at: https://www.liteworldllc.com or call us anytime at: 941-999-8200. You can also follow us on Facebook.